Card repayment insurance is meant to help cover your debt in the event you get sick, lose your job or become disabled. So far, so good. However, instead of buying peace of mind, you could end up paying hundreds of dollars a year for cover that doesn’t go as far as you think. We’ve looked at card repayment policies and their limitations. Premiums for credit card repayment policies range from 74 to 79¢ per $100, calculated on your monthly statement balance. The insurance is also offered on store finance cards with rates ranging from 63¢ to $1 per $100. On an average monthly credit card balance of $3300 you could be paying premiums of $293 to $313 each year. A $10,000 monthly debt on a finance card could cost more than $1000 a year. If you have any money owing on your card — either from the previous month or from new purchases during the month — you’ll pay. The only way to avoid paying the premium is to pay the balance before your statement date and then not use your card again that month. If you don’t pay the insurance premium, it may be added to your debt and you’ll be charged interest. Short of death or permanent disability, your payout under these policies is underwhelming. Payouts for redundancy or temporary disability will usually be capped at 10 to 15 percent of your monthly card debt. They’ll stop after a period (six to 24 months) or once they reach the policy’s maximum cover limit. If you have outstanding debt after that, you’re still on the hook. Policies also limit cover if you’re in part-time or casual work, or self-employed: depending on the policy, you may not qualify for redundancy or disability cover. There can also be limits on cover once you hit age 65.
Credit card repayment insurance is a type of payment protection insurance (PPI), an insurance that’s got a bad rap. 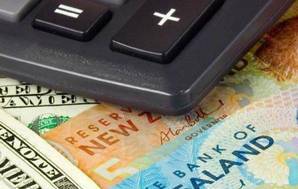 The Commerce Commission has previously prosecuted cases where PPI had been mis-sold to consumers. It’s flagged mis-selling of PPI as a cause of consumer detriment and a potential breach of the Fair Trading Act. 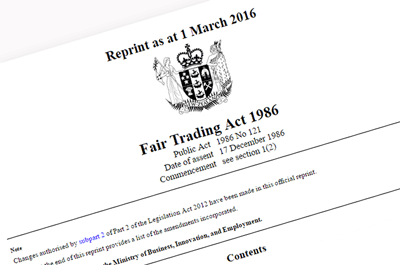 The Commerce Commission has flagged mis-selling of payment protection insurance as a potential breach of the Fair Trading Act. In Australia, there are calls for greater controls on PPI sales (see Australian action). Since 2012, UK companies have been banned from selling PPI simultaneously with selling credit. Here, companies are expected to make sure the policy meets the customer’s needs and premiums won’t cause financial hardship. But given the significant limitations of card repayment insurance, it’s unlikely to be the best choice for most consumers. Of the major banks, ASB and Westpac said less than 10 percent of cardholders take out a policy. The others didn’t provide figures, claiming the information was commercially sensitive. With personal credit card balances standing at $6.1 billion, even if only a small percentage sign up, the sum paid for cover could run into millions. If you want to make sure your credit card bills are covered if something dire happens, there are alternatives to card repayment insurance. If you’re paying your credit card in full each month and have spare funds, open an interest-bearing savings account as an emergency fund. You may already have cover if you’ve got other insurance policies, such as life or income protection. As well as cover for death, life insurance policies may pay out for terminal illness. If you’re struggling to make card repayments, talk to your provider. Do so before you fall behind. Lenders are obliged to act responsibly. If you’re suffering hardship, you can apply for relief. ANZ Visa/MasterCard 79¢ per $100 15% of balance (5% if related to psychiatric, mental or nervous disorder) for 20 months (max $60,000) up to age 65. 15% of balance (max $30,000) up to age 65. ASB Visa 78¢ per $100 15% of balance for 24 months (max $50,000). 15% of balance for 6 months (max $25,000). BNZ Visa/MasterCard 79¢ per $100 15% of balance for 18 months (max $45,000) up to age 65. 15% of balance (max $25,000) up to age 65. Kiwibank MasterCard 75¢ per $100 15% of balance for 18 months (max $30,000) up to age 65. 15% of balance for 7 months (max $30,000) up to age 65. Westpac MasterCard 79¢ per $100 10% of balance for 24 months (max $50,000) up to age 65. 10% of balance for up to 6 months (max $50,000) up to age 65. Farmers Finance Card 63 or 89¢ per $100A 3 x minimum monthly payment at date you became sick, divided by 30, multipled by number of days sick (max $20,000). 3 x minimum monthly payment at date you became redundant, divided by 30, multipled by the number of days you are redundant (max $20,000). Gem Visa $1 per $100B Balance paid up to $5000. After 90 days balance paid up to $5000. One Card Visa $1 per $100B Balance paid up to $5000. After 90 days balance paid up to $5000. Warehouse Money Visa 74¢ per $100 15% of balance for 24 months (max $50,000). 15% of balance for 6 months (max $25,000). GUIDE TO TABLE OUR DATA were obtained in July 2016. CARD details are for a personal card. COST OF INSURANCE shows the premium calculation rate. Premium is calculated on monthly statement balance. ALower rate applies if on payment holiday related to deferred payment finance deal. BUp to maximum of $50. COVER Cover shown is the maximum paid for temporary disability arising from sickness or injury and for redundancy. Balance is the amount outstanding at the time of your sickness, injury or redundancy. Depending on the company, cover may also be provided for critical illness, bankruptcy and death. CRates are for eftpos and flexi instalment plans. In a case before the Insurance and Financial Services Ombudsman last year, a couple complained they’d paid $14,000 over 13 years for credit card repayment insurance they didn’t know they had. The insurer couldn’t produce evidence the couple had agreed to the cover but said its standard practice at the time required applicants to tick a box if they wanted the insurance. Despite the insurer failing to produce documentation the couple had ticked the box for the policy, their complaint wasn’t upheld. The Ombudsman accepted the insurer’s information about its standard practices and considered the cover had been sufficiently disclosed on the couple’s monthly statements over the 13-year period. Australia’s Consumer Action Law Centre, a consumer advocacy organisation, estimated Australian consumers could be owed up to A$70 million in refunds for the premiums they paid for bad value payment protection insurance. It believes consumers have legal grounds to get a refund. Among the issues the centre’s raised are the cost of premiums and the limits of cover. Policies typically won’t pay out if you’re unemployed or in casual work. If you do qualify, payments won’t necessarily cover the full amount of your debt. The centre’s research found less than three percent of consumers buying a policy made a claim in the five-year period investigated. It wants to see a mandatory delay between the sale of a credit product, such as a credit card or personal loan, and any add-on credit protection insurance.